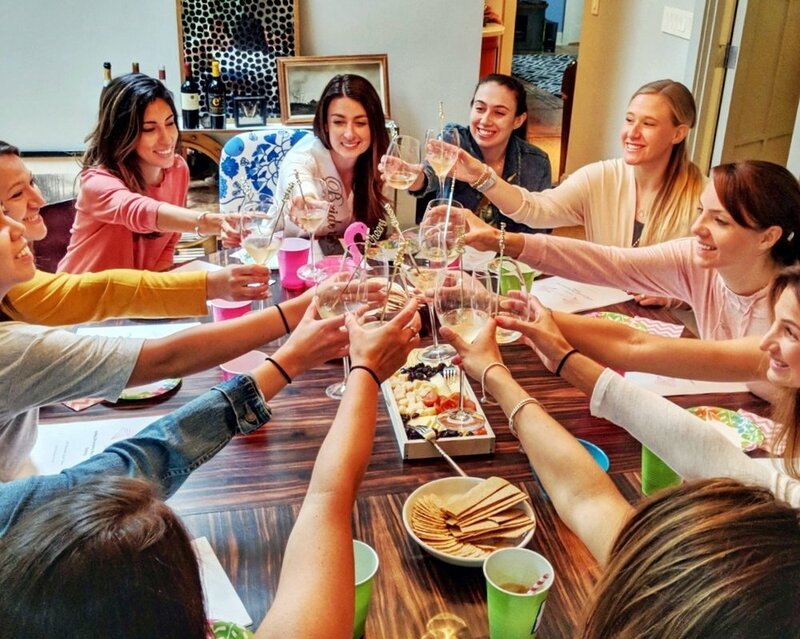 In terms of classy and upscale group celebrations, wine tasting is the new spa day! But getting everybody out to wine country, figuring out transportation and a designated driver, and planning all your reservations and tasting room visits can be a logistical nightmare. With The Lush Life Wine Events, let me bring wine country to you! Packages start at $65/person, and my team will come to your home, hotel suite, AirBnB or venue of your choice and bring everything! All of the wines, customized tasting packets, and even glassware if desired. Add on cheese platters and other treats upon request, and get ready for a festive, educational and delicious day. 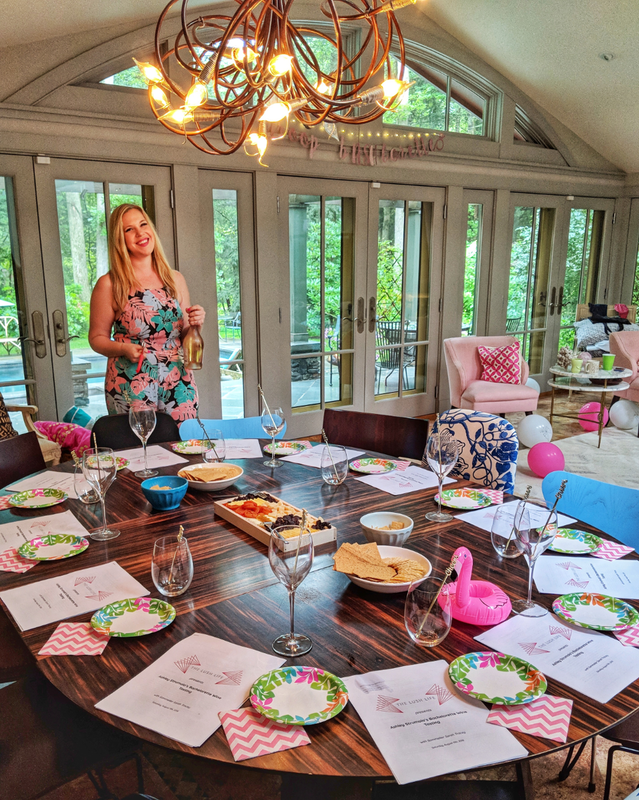 When you book your tasting, you’ll get a questionnaire about the guest of honor (Bachelorette, birthday boy, special couple, etc) that you’re invited to distribute among your group. You’ll answer some questions and share memories and fun stories about your beloved honoree. I will then take all of that info and build your wine tasting experience around it! 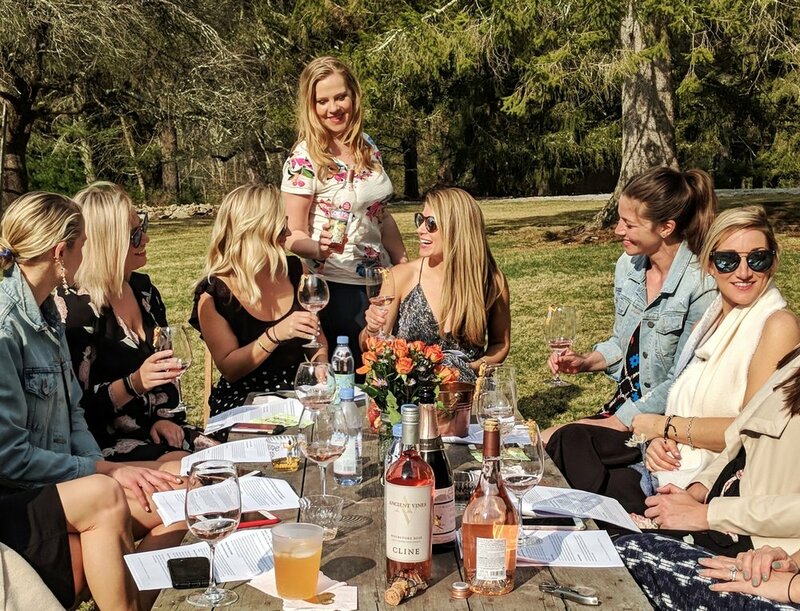 Every event is totally customized and the 2-hour tasting is a journey through their life through a wine glass… you’ll laugh, cry, and actually learn a ton about wine! I’ve been a bridesmaid seven times and a maid of honor twice— so I truly understand exactly how hard it can be to plan a memorable bachelorette experience! Between polling all the girls for ideas, dividing up tasks, figuring out a budget, and wrangling all the logistics, it can be a very stressful experience. When a simple night out at the local bar doesn’t cut it, my team can help create an epic, personalized experience with amazing memories, photos, and plenty of cheers!